The readings for today invite us to rejoice by being reconciled with God through repentance and the confession of our sins and by celebrating our coming home to be with our loving and forgiving God. 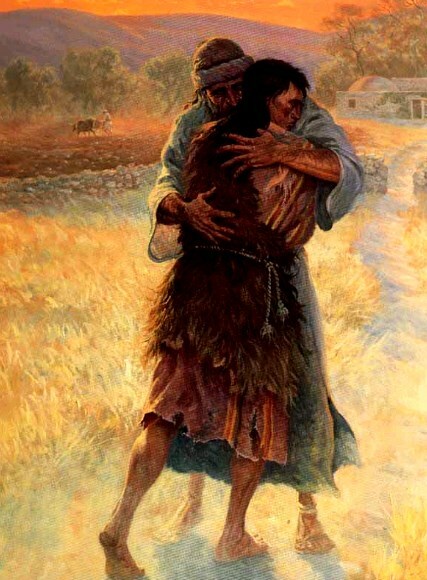 Today’s Gospel celebrates the joy of the prodigal son on his “homecoming” and the rejoicing of a loving and forgiving father who celebrates the return of his son. At the same time, by presenting a self-righteous elder brother, the parable invites us to avoid self-righteousness and self-justification by imitating the repentant younger brother. Let us admit the truth that we are an assembly of sinful people, repentant, and now ready to receive God's forgiveness and to experience Jesus’ Personal Presence in the Holy Eucharist as our loving and forgiving God.